AMZ Labels lets you quickly and efficiently print your FBA labels for shipping to a 4”×6” format and FNSKU barcode labels into a convenient list format usable by a thermal label printer, saving you time and effort! Download your FBA labels from Amazon. Drag and drop your file into our label converter. Presto! 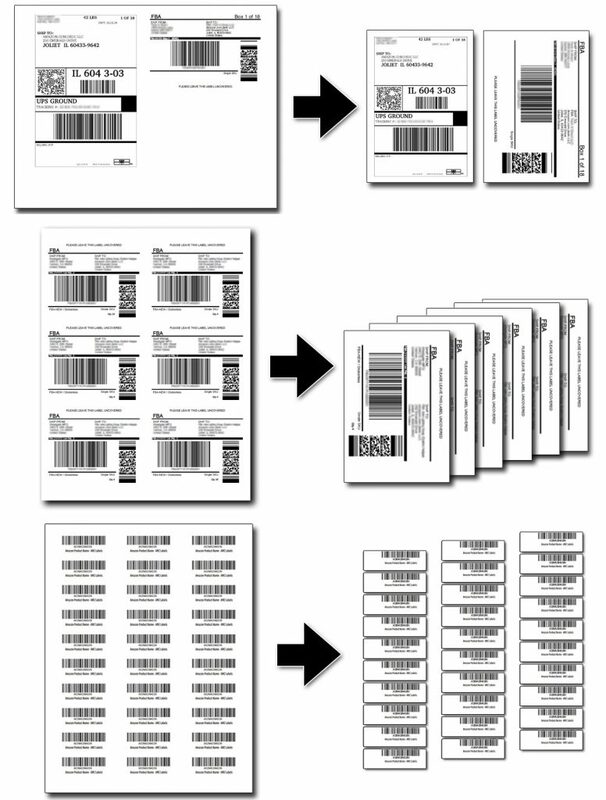 Easily download and print a new PDF, perfectly formatted for your thermal label printer. For more information, browse the FAQ, read the How It Works page or contact the team directly. $4.95/month + first 30 days free! FBA labels for shipping aren’t easy to print or attach to your Amazon packages. They print out on 8-½”x11” standard printer paper. That makes it difficult and time consuming because you have to cut out the Amazon labels manually and tape them to your package. It also leaves the labels vulnerable to smearing, fading, ripping or getting wet. With AMZ Labels software, you’ll save tons of effort because you can print perfectly onto 4”x6” sticker labels, peel them and place them right on the package! No more cutting out and affixing FBA labels to your shipments! FNSKU product barcode labels aren’t any easier. With 30-UP printing, you are forced to print on a full 8.5”x11” sheet of labels. This wastes any remaining labels if you have less than 30. With AMZ Labels, simply convert that document and we’ll make it label printer friendly, giving you a an easy-to-print format which doesn’t waste any labels! You can print just one, or 100+! You won’t need to input your Amazon API information either: simply drag and drop. Plus, because it’s cloud based, you can access AMZ Labels converter from any computer, any browser and from anywhere you have an internet connection and printer! Once you use AMZ Labels, you won’t be able to imagine life without it.